Professional sport throws out a challenge to human body, especially when we talk about such exacting kind of sport as rhythmic gymnastics. Long trainings, requirements to gymnast’s aesthetic appearance, body control skills: ability to take aerobic and muscular loads, keep balance and do complicated exercises on coordination. All these things make rhythmic gymnastics a particular kind of sport, so gymnasts are required a lot. Sports Law exists in many countries; it requires that all sportsmen, taking part in competitions, to have a medical examination once a year in order to make sure injury isn’t inflicted on them. But is it enough to be examined just once a year according to Sports Law? Of course, not! Professional sportsmen training at the high level and taking part in tournaments must constantly take care about their health in order to be in a good fit and health. When experts check what influence on sportsman technique and her final competition results, first of all, they should start with the health examination. That’s why all the professional gymnasts should be under the constant care of a doctor. It’s important to mention that sportsmen should be under the care of professional sports doctors, so that they could provide with necessary medication and best treatment at the right moment. What does medical care includes? Anthropometry– change of raise, weight and fat percentage in the organism. Anthropometry check should be held on schedule, for example once a month, in order to see the changes. Moreover, if a gymnast is on the growing stage, it’s better to control that her height schedule accords with her age. Regular check on weight and height will help to notice nutrition disorder and genetic potential for growth in time, so that the right diet can be developed, which will improve organism’s development and help to stay healthy. It’s important t remember that all these checks should be done by professional sports doctors! This procedure allows to see the genetic height potential. Height forecast is recommended to be done at the age of 10-11 and to repeat at least once a year. Physical state is conducted by sports doctor. It helps to discover the weak points of the gymnast. Doctor carefully checks the risk of 3 serious diseases we mentioned above. Blood Test is one of the most important checks. It helps to discover early anemia symptoms, muscles distraction level etc. It’s important to take a blood test before the training begins, then repeat this test during a year following doctor’s prescriptions. Blood tests recommended to healthy gymnasts: general chemical test that includes liver and kidney check, it also helps to determine the presence of fat, creatine phosphokinase, iron, folic acid ,vitamin B12 and D etc. Orthopedics examination is held by physiotherapist. It helps to discover postural disorders, weak muscles, inborn defections. Moreover, we come across with the particular problems in the particular sport. And such demanding sport as rhythmic gymnastics is not an exception, as here we face the following orthopedic problems: fissures, muscles and joints injuries, backache etc. 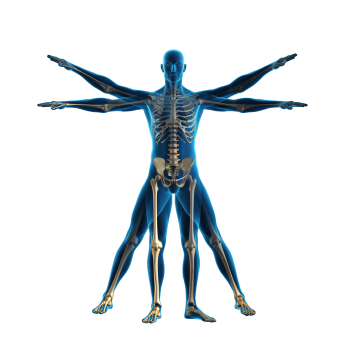 the goal of orthopedics examination is to prevent the above mentioned problems. After examination is finished, gymnasts will get the recommendations concerning the necessary exercises they should do for muscles strengthening and include these exercises into their daily training if it’s possible. That’s why it’s important for a coach to attend orthopedics check too. Diet must be included into the annual training programme being the integral part of it. It’s better to visit nutritionist in private after the blood test. General nutrition lecture can be read for young gymnasts, who don’t have any disorders, their parents and coaches. This check also helps to improve sport achievements being in good health. After that, nutritionist develops a diet for a gymnast in accordance with her training loads and active way of life. In conclusion, it’s important to say that health care is the base for the best working capacity of a professional sportsman. If a gymnast takes good care about her health, she’ll be able to make progress and achieve good results at the sports arena, moreover she always can prevent injuries and nonreversible diseases, which are faced in elite sport. Take care of your health while we will be in charge of your great image. You may order cheap leotards of a high quality at our company.